Samsung extended its lead as the top mobile phone maker in the US market and Apple moved into second place, an industry tracker said Friday. 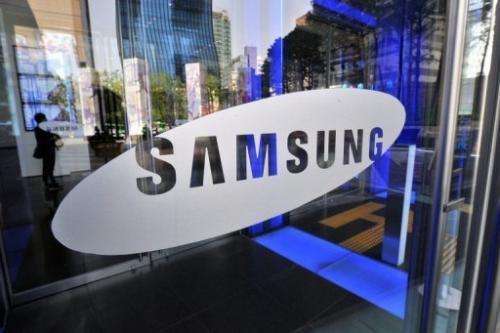 A survey by comScore showed that in the three-month period ending in October, South Korea's Samsung was the top manufacturer with 26.3 percent market share, up from 25.6 percent in the prior period. Apple, which sells only smartphones, moved into second place in the US market for the first time, with a 17.8 percent market share, up 1.5 percentage points. South Korean maker LG was third at 17.6 percent, followed by Motorola at 11 percent. The survey showed Google's Android system gained ground as the leading smartphone platform, with 53.6 percent of the market, up from 52.2 percent. Apple's iOS platform for its iPhones remained in second place, and gained 0.9 points of market share to 34.3 percent, comScore said. BlackBerry maker Research in Motion saw its share slip further from 9.5 percent to 7.8 percent in the period. And Microsoft, which released its Windows Phone 8 platform in late October, saw its share dip to 3.2 percent from 3.6 percent. The survey found 121.3 million people in the US owned smartphones, or 51.9 percent of the mobile market.